Admission Committee for Professional Courses (ACPC) offered admission for Diploma to Degree (d2d) Admission for Pharmacy & Engineering. Online application form for Diploma to Degree Engineering 2018 has been released. Candidates can check all details regarding ACPC Diploma to Degree (d2d) Admission 2018 from this page given below. Latest: ACPC has released the notice regarding vacant seats in diploma to degree Engg. and Final Vacant seats in SFI after round 1 Up gradation, scroll down to check the same. Admissions to Bachelor of Pharmacy Course– The admissions to the Second Year (Third Semester) of the Bachelor of Pharmacy Course on all the supernumerary seats shall be given on the basis of merit list prepared by the Admission Committee in accordance with the provisions of these rules or, as the case may be, guidelines issued by the All India Council for Technical Education, New Delhi. ExSchedule for the Diploma to Degree Pharmacy 2018 is given below. Click here to check the notice regarding Metallurgy Engineering offline admission. 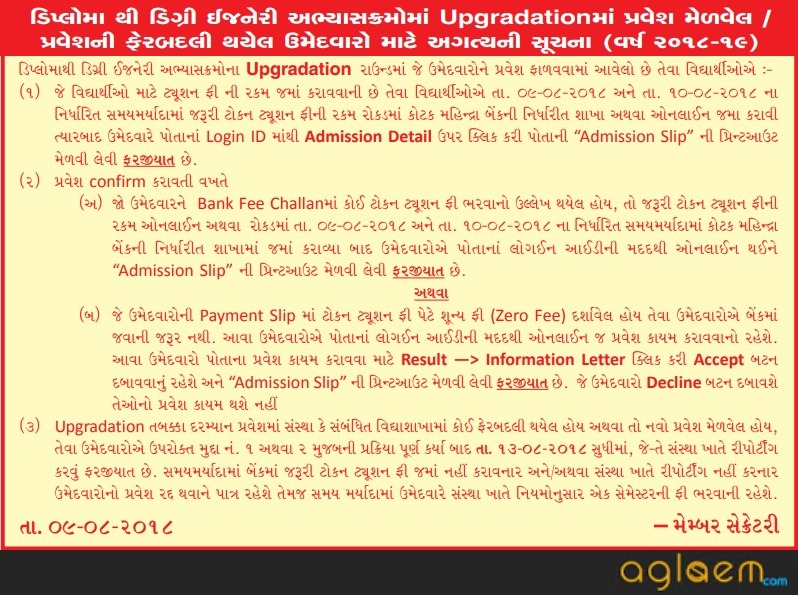 Click here to check the Notice for D2D Engineering Upgradation. Application form for admissions to Bachelor of Pharmacy Course is now available on the official website of the ACPC. Candidates seeking for admission to Bachelor of Pharmacy Course are advised to download the application form from the official website or by the link that which is provided below. Application Fee: Amount of Fee Rs. 350/- in cash only. Attach the Xerox copy of following certificates (duly attested) in the order mentioned. 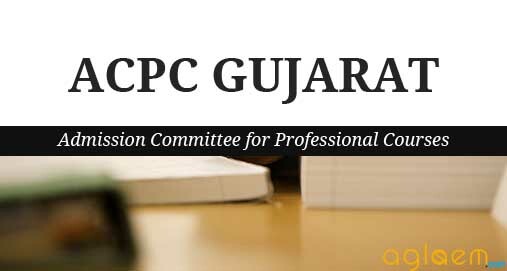 A Candidate shall have passed the qualifying examination from the college or an institution approved by the Pharmacy Council of India and/or the All India Council of Technical Education, New Delhi. Minimum aggregate marks.- For the purpose of admission, the minimum aggregate marks which a candidate shall have obtained in qualifying examination shall be as per norms and requirements prescribed by the All India Council of Technical Education (AICTE), New Delhi for lateral entry to Second Year Under Graduate Development Programs for current academic year. Admissions to Bachelor of Engineering Courses – Admission from Diploma Engineering to Second year (Third Semester) of Degree Engineering Courses for the Academic year 2018-19 in Government, Grant-In-Aid and Self Financed Institutions located in State of Gujarat. Schedule Dates for Diploma to Degree Engineering 2018 is given below. Click here to check the Advertisement for Vacant Seats in SFI Institutes. Click here to check the Vacant seats of Govt./GIA after ROUND-1 Upgradation. Click here to check the Advertisement for Govt./GIA vacant seats. Click here to download the Application form for Vacant Govt. Seats. Click here to register for Data entry. Click here to check the Advertisement for Rubber Engg. Course. Click here to download the Application form Rubber Engg. Course. The seat matrix has been issued for Diploma in Pharmacy and Engineering. Candidates can check the same from the link below. Click here to check the list of institutes for D2D Engineering admission 17 July 2018. Click here to check the list of institutes for D2D Pharmacy admission. Click here to check the list of institutes for D2D Engineering admission. 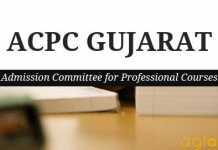 Candidates who have passed the Diploma Examination in Nov-Dec 2017 or May-Jun 2018 from University or Institution situated in Gujarat State and approved by AICTE / recognized university with at least 45% marks or equivalent CGPA (40% marks or equivalent CGPA in case of candidate belonging to reserve category) in appropriate branch of Engineering/Technology are eligible for registration. Eligible Students have to log on to the website www.gujacpcadm.nic.in from anywhere on the internet for Online Registration. The direct link is also be provided below as per official announcement. Click here to apply online for Diploma to Degree Engineering 2018. Click here to check the List of Help Centers and Bank Branches. of five working days, the remaining amount of the security deposit shall, after deducting Rs. 500/- (Rupees Five hundred) towards the administrative expenditure, be refunded. who have passed qualifying examination with minimum aggregate marks as prescribed in rule 6 in immediate previous admission year in the relevant discipline as mentioned in column 2 of Schedule I from the Technical Examination Board (TEB) or a recognized University or institute approved by AICTE and situated in Gujarat State, and who could not admitted in immediate previous admission year due to late declaration of results by the respective Board/University with minimum aggregate marks. Minimum aggregate marks – For the purpose of admission, the minimum aggregate marks which a candidate shall have obtained in qualifying examination shall be as per norms and requirements prescribed by the AICTE, New Delhi for lateral entry to the Second Year Under Graduate Development Programs for the current academic year. Click here to check the Branch Eligibility for D2D Engineering admission. The merit lists shall be displayed on the web-site of the Admission Committee and by such other means, as the Committee may consider convenient. The Admission Committee shall publish the schedule of online counseling program on its website, by advertisement in the prominent newspapers widely circulated in the State, and by such other means, as the Committee may consider convenient. The candidate shall be required to give his order of choices of colleges or institutions, online. Allotment of seats shall be made on the basis of merit, category of the candidate and availability of seats. The allotment shall be published on the web-site of the committee. The candidates are required to obtain the print out of the allotment offer letter and bank fee receipt copies from the website. The candidate shall be required to pay such fee as may be determined by Admission Committee. On payment of tuition fees as required under sub-rule (5), either online payment or in the branches of banks as specified, the admission allotted to the candidate shall get confirmed. The candidate shall be required to login to his account to get the printout of the Admissions Slip. In case, the candidate fails to pay the tuition fees within the prescribed time limit as aforesaid, the admission offered to him shall be treated as cancelled. However, such candidate shall be eligible to participate in the successive up gradation/reshuffling round of counseling provided the candidate has given consent for the same, but shall not be eligible for admission on the seat already allotted to him in previous rounds. Where considerable number of seats falls vacant and it appears to the Admission Committee to fill the vacant seats, it may conduct the on-line admission process for up gradation/reshuffling of seats. The candidate, who opts to take part in such process by giving online consent, shall be considered for such admission. The candidate may up graded by the choices he already given under sub-rule (4). If the candidate gets the admission on the basis of up-gradation, then his earlier admission shall be treated as cancelled. Twenty percentage (20%) seats of the sanctioned seats of the immediate previous academic year. Government Colleges or Institutions of the State. the unaided Colleges or Institutions of the State. Twenty-five percent seats of the total sanctioned seats of the Engineering and Technology to institute having AICTE permission of separate division (if applicable) for lateral entry for corresponding academic year of each Bachelor of Engineering Course in the unaided Colleges or Institutions of the State. Committee, three days prior to the commencement of the counseling program, such Management Seats shall also be considered as available for giving admissions. The unaided college or institution shall fill up the Management Seats up to 5% of the sanctioned intake from the students of the out of the State and inter-se-merit prepared as per rule 12 irrespective of whether such candidate have applied to the Admission Committee or not, subject to the conditions that the student fulfils the eligibility criteria for admission prescribed under these rules and has passed the qualifying examination from recognized University / Institute. Click Here to check MQ Guidlines for D2D Engineering and List of Institutes.